Is it possible to determine what type of music a person may like based on their horoscope sign? There have been some surveys conducted regarding the topic. Some of which actually came close to guessing many of the participant’s zodiac signs based on their answers. Still, being able to actually pinpoint a person’s music genre simply based on their horoscope sign, is very difficult. 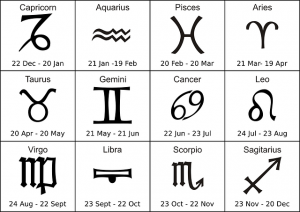 Although there have been and are numerous articles and guides that cover the correlation between music preferences and zodiac signs, the verdict is still out. 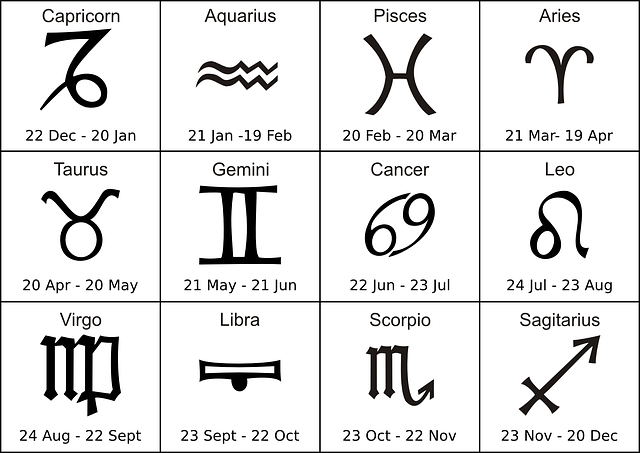 One of the reasons for this is because although many horoscope signs do favor certain genres, it is not always that easy. For one, everyone is different and we all have our very own personalities regardless of our zodiac signs. Second, a lot of the music we may or may not like has to do with several issues as well. For instance, if your parents or family members raised you listening to a certain type of music genre, then that may change things. Your preference for music may have already been determined by them whether you liked it or not. At the same time, some people choose to go their own way and are actually never affected by this scenario. If they meet new friends (or a partner) and if those people may like a certain kind of music you have never really listened to before, chances are you yourself can end up liking it as well. Another factor that may decide or determine the music genre you may enjoy more is your age. When we are younger, we may like a certain kind of music which is loud, fast paced and currently in style. However, as we get older, our taste in music may change to a somewhat more mellow selection or calmer type of music. It is not very often you see 50 year olds and older, going to Hip-Hop, Techno, or heavy metal music concert. That is not to say that people that age will not enjoy that kind of music, simply that their taste changes. The fact is that our music preferences in our latter years, tend to be determined by the music we listened to at ages between 16 to 24. But What About Your Zodiac Sign? Aries – Aries enjoy upbeat tempo music such as pop, jazz and rock. Still, some Aries have a profound taste for classical music as well. Leo – Leos love attention and they don’t mind singing their favorite song on a karaoke stage. At the same time, Leos also have a soft spot for any tunes with passion. Leos enjoy hard rock, pop, and musicals. Sagittarius – Because Sagittarius are idealistic and have a great sense of humor, they have a taste for world music. From hip hop and dance, to even dark soundtracks, Sagittarius are very open minded. They may occasionally enjoy some classic rock or even Caribbean dance rhythms as well. Taurus – They call Taurus stubborn and yet practical, who love upbeat fun pop. From One Direction to Rihanna, their taste is all about variety. Taurus love to move and tap their feet when they listen to music. They also like Blues and R&B. Virgo – Virgos are very analytical and kind. This may explain why they all seem to enjoy and appreciate the sounds of nature as part of their music taste. From classical renaissance, to new age sounds, it is all about peace and calm for them. Capricorn – Since Capricorns are very disciplined and family oriented, they enjoy traditional music the most. The majority of Capricorns, tend to like the music which their parents raised them on. They love classical music and great rock and roll. Gemini – Geminis are very gentle and affectionate. They love oldies and new trending music as well. Still, for Geminis, dance music is always their first love. Fast beats, techno or any quick music, will have a Gemini dancing in no time. Libra – Libras are very social and gracious. They are also ruled by Venus, the planet of love. This may explain why they love romantic music so much. Still, while they tend to enjoy classical and slow jams, they are also pretty trendy and hip. Aquarius – Since the Aquarius sign is considered rebellious, they will listen to music others may not have heard of. They are willing to try new music and usually enjoy alternative or electronic music. Cancer – Tending to be loyal, emotional and imaginative, cancers love classics and oldies. While romantic and soft love songs are their favorites, they love to listen to songs which remind them of their childhood as well. Scorpio – Being resourceful, brave and passionate may explain why Scorpios enjoy complex melodies and music that is deep. From electronic tunes, jazz, R&B, and even romantic songs, they are very diversified. They also enjoy listening to a lot of show tunes.